"In last year's last 16 against The Reds, Porto were missing their best defender (Felipe), their standout midfielder (Danilo) and their leading attacker (Vincent Aboubakar), which would leave any team compromised." Ahead of this week's Champions League quarter-finals, the general consensus is of a split draw, with four very clear favourites. Nowhere is that more apparent than in the match-up bring Liverpool back together with Porto, after the pair met in the last 16 last term. It was the moment at which the eventual finalists began to flex their muscles, unleashing their full attacking potential in tearing to a 5-0 victory at the Estádio do Dragão, before sauntering through a goalless return. The market expects little difference a stage further on this year, with The Reds [1.32] and the Portuguese champions all the way out at [12.0]. You can get [6.0] on the draw. That Jürgen Klopp's side are favourites is beyond dispute, but the extent of their comfort in last season's first leg is misleading in terms of figuring out what might happen this time. Porto were missing their best defender (Felipe), their standout midfielder (Danilo) and their leading attacker (Vincent Aboubakar) for that game, which would leave any team compromised. For a club of their resources at this level, it was impossible to cope with. The talk in Portugal is of a tough task, but there is determination to learn from last year's shortcomings. Aboubakar is again missing, as he has been for most of the season for a serious knee injury, but coach Sérgio Conceição is happy enough with his attacking options, with last season's top scorer Moussa Marega providing pace and Tiquinho Soares the muscle alongside him. On the bench options include Adrián López, a 2014 finalist with Atlético Madrid and scorer of what proved to be a vital away goal at Roma in the last round. Conceição will hope to have his left-back Alex Telles back after injury, for his delivery from the flank as much as anything else. If this seems like a strange aspect to float as important, it's because Porto are not the sort of side that could be described as classically Portuguese in style. They have impressed opponents in this year's Champions League and last with their physical power, with Conceição - who surely has a bright future coaching in one of Europe's best leagues, probably Serie A - having crafted a team that is tough and aggressive. 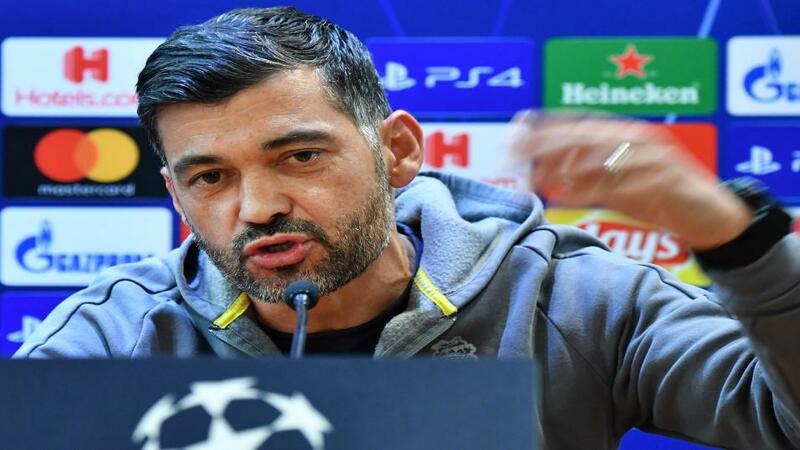 The job that the 44-year-old has done at Dragão is, frankly, little short of astonishing. Brought into a club drastically cutting costs to comply with Financial Fair Play and without a trophy for just short of five years (an unprecedented drought in their modern age), Conceição reinvigorated the team, gave them desire and personality and won them back the Liga from Benfica. Like Liverpool, they are in a tightly-fought title race this season, again competing against their rivals from Lisbon. That Porto have had higher quality squads in the past is unquestionable; with all due respect to the current crop they don't compare to the 1987 European Cup winners of Artur Jorge, José Mourinho's 2004 vintage, or even the 2011 Europa League winners of André Villas-Boas. Conceição's men, however, are made of stern stuff. They may not quite have it in them to roll over The Reds, but they are hell-bent on making it hard for them.